The region's Fulani ethnic communities are often targeted and accused of having ties to jihadist organizations in the area, according to the UN. The Malian government said it "repeats its will to do everything possible to chase the perpetrators of this barbarity of another age and punish them in accordance with applicable laws." "In the same spirit, the government will continue to ensure protection by the people, restoring the conditions of true social cohesion and promoting national reconciliation ", it added," the government condemns with the greatest difficulty this vicious act and expresses its compassion to the families of the innocent victims. " On Sunday, Mali President Ibrahim Boubacar asked the Council of Ministers to announce the dissolution of a so-called self-defense group, according to a governmental communique. Communication did not notice whether this group was due to the attack in Ogossagou. Group Dan Na Ambassagou is composed of members of the Dogon ethnic group. Last year, Human Rights Watch accused Dan Na Ambassagou of targeting members of Fulani ethnic groups and attacks that "led to dozens of civilian deaths and injuries." UNICEF said it was providing assistance to the victims of the attack. "Many of the injured children have been evacuated to healthcare facilities for treatment. UNICEF is on the ground and helps provide first aid, medicine and therapeutic food," says Director Henrietta Fore. 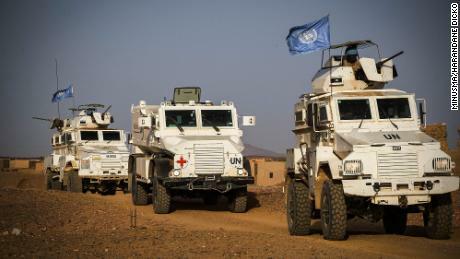 "Mali's children pay the highest price for intensifying violence in central Mali. Since 2017, increasing insecurity has led to an increase in the killing, maiming and recruiting of children. Gender-based violence is on the rise," Fore added. The Mopti region of Mali has repeated instances of violence in recent months. A UN spoiler kesperson said the organization's Secretary General António Guterres was "shocked and upset" by Saturday's attack. "The Secretary-General condemns this action and urges the Malian authorities to investigate it quickly and bring the perpetrators to justice," the spokesman said, adding that he "urges the Malian authorities to double their efforts to bring peace and stability back to central Mali. " There are almost 3 million Fula people in Mali, traditionally nomadic and most Muslim.